After the fact, I tried to go back and work this into the main history but it was difficult to give it the justice it deserved as an addition to chronicling the adventures. I chose an episodic or linear approach to the “History” and that may or may not have been wise. Regardless, it made it difficult to work this in and maybe that is just as well because maybe giving it its own section works better. 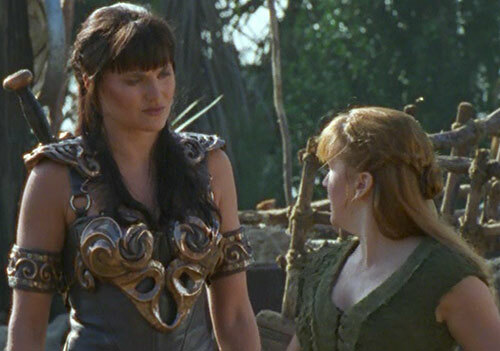 Throughout her history, Xena often seemed attracted to both women and men. In her early adventures — the ones told first, not the back story — she loved a number of men, Hercules being one of them. She also was in love with a man named Marcus and a few others. In the back story, it began to emerge that many of her loves, probably some of the most heartfelt ones, were women. Lao Ma was certainly someone whom she loved on many levels and who she clearly was involved with romantically. She was in love with Anokin, a young woman that was apprenticed to Alti. That she was attracted to Queen Cyane (the Cyane she met around the same time she met Alti) was explicit. She was hiding and ogling Cyane when Cyane was naked. They are never explicitly stated to have become involved but they almost certainly were. It also seems implicit that she was involved with Alti in their early days, that both Xena and Anokin were involved with her. But all of Xena’s relationships during her early days, female or male, were marred by trying to deny her capacity to love because it would interfere with the life she wanted to lead. When Xena was with Lao Ma, she was not ready for the lessons Lao Ma tried to impart to her. But then she had a child, Solan. When she saw Borias die and held her son, she took him to be cared for by people who were not at all like her. By the time she met Hercules, she was ready to change. All of her time with Lao Ma, as well as having a son she could not be with, came flooding to the surface when Hercules showed her mercy and befriended her. Though short-lived, her romance with him was heartfelt though there is no way to know how much her feelings were born of gratitude. Xena was a changed person by the time she met Gabrielle. She was already seeking a sort of redemption or at least to do all she could to make up for her past. It is impossible to say precisely when their relationship became romantic but there are certainly hints. When Gabrielle fell in love with Perdicas and they were going to get married, he admitted he had some previous experience with women. Gabrielle said she had no previous experience, but the implication was a lack of experience with men specifically. However, everything was kept implied rather than shown or stated. In contrast, we have no doubt when Hercules became romantically involved with Deinara. An entire made for television movie (“Hercules and the Circle of Fire”) is dedicated to it. The next one (“Hercules in the Underworld”) deals with her fears of losing him and their ongoing relationship. There is no question that there is a relationship there with her and with Sirena and later with Morrigan. But with Xena and Gabrielle, we have to read into it through implication. It reaches a point where the two of them say things to each other that lovers might say. Well before the end, they are calling each other soul mates. In the early 21st century, Xena has been reincarnated as a man while Gabrielle has been reincarnated as a woman. They end up married and are openly shown to be in a relationship. When Ares switches everyone’s souls into “appropriate” bodies so that both Xena and Gabrielle are in female bodies, they continue the relationship. *This time* it is pretty explicitly stated. But, except in hints and suggestions, we never openly see the development of their relationship. Which is unfortunate. I kept these out of the “History” because they tend to be my own opinions. I tend to be a continuity buff. There was a “Norse Trilogy” done in the last season of “Xena” and it involved flashbacks to her early history. 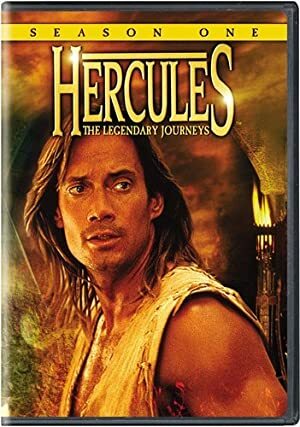 Although the Norse trilogy was good, one thing I did not like is that it completely contradicted the previously established continuity of “Hercules” and, to a lesser degree, “Xena”. Hercules had met Odin in a two-part episode. Aside from being played by a different actor, Odin in the “Hercules” story was married and one of the significant things about his personality was that he loved and was extremely devoted to his wife, Frigga. He also genuinely cared about humanity. In the “Xena” version, there is no wife and never was. He is having affairs with his valkries and he is a plotting conniver. There is simply no way to reconcile the “Xena” version of Odin with the one who met Hercules. Granted, the shows were so tongue-in-cheek that it hardly matters. But it’s why I didn’t mention the Norse trilogy in the “History” section. What makes the “Odin contradiction” even more unfortunate is that this trilogy really played up the relationship between Xena and Gabrielle even to the point that it was Xena who awoke Sleeping Beauty (Gabrielle) with a kiss. During the storyline, a male character, Beowulf, and a female character, Brunhilda, were both in love with Gabrielle and each knew the other was. But gender was never mentioned or even implied to be an issue. Xena is a strong and tall woman with long black hair. She is usually wearing armor though the legs and arms are bare. She carries a sword in a sheathe on her back and her chakram at her hip. Xena can be a gruff person. She is driven by guilt about her past and can be ruthless when she has to be. But Xena is also loyal to her friends. And she is driven to make amends for her past wrongs while expecting no reward for doing so. At times, she behaves as if she does not feel she deserves or has earned redemption. For instance, when others receive a blessing of forgiveness and turn to her, expecting her to do the same, she walks away. That leaves a character to ask if she does or does not want redemption. At other times, she grows tired of being confronted by her past to the point that she refuses to justify herself to others or be blamed anymore. There is also a real fear of falling back into her old ways and she relies heavily on Gabrielle to prevent that from happening. By the end, Xena was moving more towards being more meticulous than ever about whether she did or did not need to kill in a particular situation. In contrast, Gabrielle seemed less cautious about it. Xena could fit nicely into DCU ancient history. 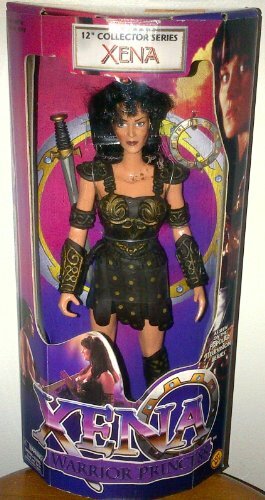 Although Xena was never an Amazon, she was usually an ally. In the DCU, Heracles would be more enemy than friend. We would have to dismiss the idea of his being pivotal to her change to good and assume meeting Gabrielle was the most critical event. A modern take might have her and Gabrielle living on Paradise Island from ancient times to the present. Admittedly, that would eliminate the series finale where she died and also eliminate her various reincarnations. The “God Killer” saga would be less likely and really does not fit into the DCU History of the Greek gods. However, if one wanted to do an alternate DCU History set in ancient Greece without having to adhere to the Main DCU timeline from then to the present, perhaps the Presence at some point selected Xena to be the host of the Spectre. That would likely give her the capacity to be a real threat to the pantheons of gods. Paralysis may be used selectively to paralyze a limb or the entire body. Paralysis is No Range as it requires striking pressure points (FC -1). Systemic Antidote requires use of Suspension power and a trance state to work (FC -1). All of her powers are Skilled Powers. Attractive, Buddy (Gabrielle), Intensive Training, Iron Nerves, Leadership, Lightning Reflexes, Pet (Horse named “Argo”). Hercules (Low), Iolaus (Low), Autolycus (Low). Arch Enemy (Callisto, Alti), Guilt, Mistrust. Shortsword [BODY 12, EV 04 (05 w/STR, 06 w/Martial Artist)]. Knife [BODY 12, EV 03 (04 w/STR, 05 w/Martial Artist)]. Whip [BODY 05, EV 04, Snare: 05, Stretching: 01 (Range on striking for damage and on snaring is restricted to the Stretching distance of 20 feet)]. Chakram of Light [BODY 16, EV 04, Flight: 02, Magic Blast: 11 (Bonus: The Chakram seems to “magically” become a blunt-edged Bashing weapon or a sharp-edged cutting weapon doing Killing Damage as needed. The Magic Blast is No Range (FC -1). The chakram must hit something itself. It cannot fire a blast at range. This Chakram is a joining of her original chakram and a magical one. It can split into two chakrams and both are shown to be able to do damage to gods, even before she gained the ability to kill gods. She also uses them in melee as “bladed hands”. Gliding was changed to Flight because they seem capable of following an opponent and changing directions with the opponent beyond what even the original Chakram could do)]. Armor [BODY 05, Blunting: 03]. There were powers I did not give Xena because she used them so few times. If you wish to include them, I’ll give them here. She had Telekinesis: 08. She stated she could no longer use the TK and only summoned the capacity once or twice. She had Spirit Travel which I rate at a 04. It took extreme concentration, a complex ritual, a simulated death and a group effort to travel in Spirit Form. She also displayed Dimension Travel. Not sure what level. Linking it would make it 11. It was limited to the Dream Dimension making the Base Cost 100 points and it had the Limitation: Physical body is left behind on Earth and is comatose (FC -1). It also required a complex preparation and usually people helping. She did it several times so it could be valid to make it a “power proper”. But it is also presented as if anyone could do it with the proper rituals. They might not have much chance of survival in the Dream dimension but they could probably get there. She also demonstrated Broadcast Empath manifested as the Song of the Sirens. Basically, Broadcast Empath*: 09. Limitations: “Must be singing” (Miscellaneous Limitation, FC -1), “Only versus men” (Miscellaneous Limitation, FC -1) and “Only to draw them to move irresistibly towards her regardless of the danger” (Miscellaneous Limitation, FC -1). Again, this was an ability she only used once and it could arguably also have the FC -1 limitation: “Only to counter the Singing of the Sirens that draws sailors to their doom on the rocks of their island”. But, unless she intends to hang out endlessly on a ship just outside their island with men on it, the ability is effectively useless. It’s one of those “cute” one-time abilities that vanishes like it never existed. There was an episode where she demonstrated energy blasts and a force field in the form of a dome but this was explained as somehow channeling magic power her mentor had set aside for her to deal with a specific situation and she no longer had it once that situation was over with. Xena’s famous god-killing era is best explained by the fact that the Invulnerability of the Greek gods had a long list of things it did not work against: Hind’s blood, the blood of Dahak, the “Circle of Fire”, the Dagger of Helios, a rib from the body of Cronus, etc. That Xena could be given the power to ignore their invulnerability and strike them with an attack that could kill them if given such an ability by a more powerful god seems par for the course as the Greek gods seem not so much to have an insurmountable amount of Body but the Invulnerability. I gave her the “Pet” advantage for her gender-changing horse, Argo (it switches from male to female frequently in early episodes before finally deciding to stick with being female) and it will come to her when she calls even when someone else is at the reins. The low connection to Hercules and Iolaus is because, given the era in terms of travel times and communications, she usually cannot contact them immediately. Obviously, during the last season, when she and Gabrielle came out of suspended animation after twenty-five years, they no longer have this connection as the whereabouts of Hercules and Iolaus are unknown and Iolaus would be an old man. Source of Character: The television series Xena Warrior Princess and some episodes of the Hercules the Legendary Journeys series. No one person created Xena. It was a group effort added to throughout the years. John Schulian, Robert Bielak, R.J. Stewart, Robert Tapert and many others were involved in the process. She was played by Lucy Lawless. Helper(s): This entry replaces a very old entry by Dr. Sean MacDonald, which I found to be helpful as a guideline. Sébastien Andrivet, Alfonso Jermaine, William Chamberlin, Christopher Roxby, Darci and Ethan Roe provided useful information. Writeup completed on the 20th of July, 2013.